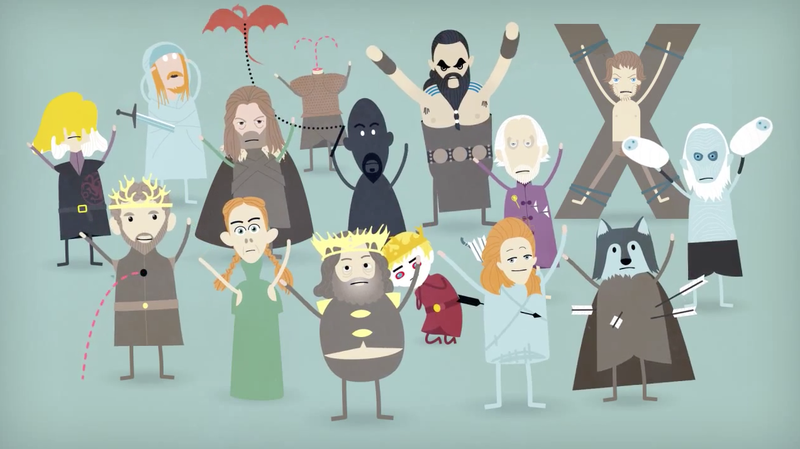 "Dumb Ways to Die" could be the theme song of Game of Thrones. And now this parody, from Egor Zhgun, brings them together in celebration of the various gory, untimely deaths through the show's first four seasons. Spoilers, obviously. The HBO show's fifth season premiered Sunday.